SINGAPORE (Reuters Breakingviews) - Indonesia’s presidential election may change how some investors vote on the country. Early indications are that incumbent Joko Widodo won another term, but with a lead narrow enough to embolden a conservative opposition. There were pockets of populist success, too. That will temper expectations for new policies that warm up growth and attract foreign cash. SINGAPORE (Reuters Breakingviews) - Thailand's chaotic electoral result is near investors' worst case scenario. A vote to end direct military rule has slid into confusion, with accusations of cheating and both main rivals claiming they can form a government. A clear outcome may be weeks away, at best. With foreign funds already selling out of shares, that's a poor prospect for a cooling $460 billion economy. SINGAPORE (Reuters Breakingviews) - Thailand's long-awaited vote may solve just one problem: the poll itself. Sunday's ballot ends five years of direct military rule. For investors, the best outcome is an uncontested one, even if the junta leader stays on as prime minister. A democracy of sorts could well encourage some inward capital flows, and planned infrastructure spending will help growth. Unfortunately, none of the likely winners appear ready to tackle the deeper woes of this sclerotic economy. SINGAPORE (Reuters Breakingviews) - Barrick's latest gamble looks like fool's gold. The Canadian giant is eyeing a bid for its $19 billion U.S. rival Newmont Mining, the Globe and Mail reported on Friday, a tie-up which has been mooted before and could yield synergies. But the buyer has just acquired Randgold Resources, the target is buying Goldcorp, and investors in the sector are wary of scale for the sake of it.  DAVOS (Reuters Breakingviews) - The China outlook from Davos is a little off-piste. Compared to the unbridled optimism of a year ago, there has been plenty of fretting at the annual World Economic Forum this week. High on the list of concerns is a sharper-than-expected slowdown in the People's Republic. For now, though, growth is cooling at a reasonable pace and Beijing has ammunition left. DAVOS, Switzerland (Reuters Breakingviews) - Jair Bolsonaro cleared a low bar at Davos. In his first overseas appearance since taking office, Brazil’s new president on Tuesday made a brief and vague sales pitch for a "new Brazil". Business optimism about the country is running high, and modest changes can help deliver early wins. The longer term, however, is another matter. SINGAPORE (Reuters Breakingviews) - Miners are in position to close the confidence gap in 2019. One important indicator suggests equity investors are fretting about a Chinese slowdown and don't trust cashed-up bosses at BHP, Rio Tinto and elsewhere to stay restrained. The pessimism is overdone. SINGAPORE (Reuters Breakingviews) - Oligopolies are omnipresent, dynamism is dwindling and wage growth is miserable. Popular faith in capitalism is tarnished as a result, as France's "gilets jaunes" protests and the election of U.S. President Donald Trump demonstrate. Two new polemics, Tim Wu's "The Curse of Bigness" and "The Myth of Capitalism," by Jonathan Tepper with Denise Hearn, argue that the problem stems in part from a lack of competition. Both focus on a U.S. antitrust revival as a solution; policymakers worldwide should listen in. Monopolies are in the headlines thanks to the rise and rise of tech giants like Amazon, Google and Facebook. Their scale brings massive power, and financial strength allows them to swallow upstart challengers by the dozen. Yet Wu, a professor at Columbia Law School, and Tepper and Hearn, of research group Variant Perception, demonstrate the problem is much wider. That's due to nearly four decades of laissez-faire and a U.S. competition regime that focused too narrowly on consumer welfare and the impact on prices. From brewing to banking, the statistics they cite are damning. Two companies control 90 percent of the beer Americans drink; five lenders control over half of U.S. banking assets. Fewer new firms are starting up, and the number of listed U.S. companies has roughly halved between 1996 and 2016. Outsized corporate profits are no longer being competed away. Meanwhile, wages have stagnated. The concise "Curse of Bigness" offers a sober, compelling overview of how we got here, warning of alarming consequences by drawing parallels to the "Gilded Age" of Rockefeller-style trusts of the late 1800s. Global policy failures then concentrated economic power and paved the way for dictatorships later. Wu’s title is a nod to Supreme Court Justice Louis Brandeis, whose progressive agenda and concerns over the wider, political impact of corporate "bigness" is due a revival. That would come at the expense of the interpretation of antitrust rules popularised by scholar Robert Bork in the late 1970s: he argued that efficiency and price matter more than size. The fast-paced "Myth of Capitalism" goes over some of the same ground, offering its own compelling case for why the failure to reign in behemoths is so damaging. Tepper and Hearn succeed with plenty of dramatic graphs and telling examples. The book opens with a David Dao, a doctor, being brutally dragged off an overbooked United Airlines flight. Bad publicity from that now infamous episode should have battered the carrier's share price. In fact it highlighted just how few choices airline passengers have. There's more packed in, from the mafia, brain parasites, the Leveller movement, Warren Buffett and the cautionary tale of a price comparison startup squashed by Google's search hierarchy. It's hard to disagree with either book on the inadequacy of current tools and rules. Take the U.S. decision to approve AT&T's acquisition of Time Warner last year, which assumes that media content is fungible; or Facebook's ability to snap up rivals Instagram and WhatsApp without interference. Corporate scale is growing even in Europe, which has been far more active in policing the likes of Google. Trust busting - the process of breaking up big companies into smaller ones is one inevitable solution, as the books argue. Even smaller rivals should face tougher merger reviews. Both are right that U.S. authorities should scrutinise predatory pricing more aggressively, along the lines of UK competition reviews. A more diversified shareholder base might also help. Updating tools to assess new forms of market power is tougher, however. It’s hard to accuse Facebook of unfair pricing when its product is free – at least on the surface - and Amazon sells books for a song. Cheap bills can mask other damage; but how to measure quality, innovation or employment conditions as the pool of employers shrinks? At times the authors shoot too widely. Size alone is not a problem, and the corporate quest for efficiency still matters, even if it is no defence for anti-competitive behaviour. A stringent crackdown could be as damaging as the excessively laissez-faire attitude of recent decades, when many marginal cases escaped scrutiny. Even riskier is bringing politics into antitrust decisions. At such a divided time, mixing political aims with economic arguments could prove a Pandora's box. Yet if it proves impossible to revive competition, the bigger question is whether the capitalist system on which big companies depend can survive. SINGAPORE (Reuters Breakingviews) - Southeast Asia’s apps-for-everything will dominate in 2019. Cash is being lavished on Grab and Go-Jek, as they dabble in everything from ride-hailing to groceries. It’s a Chinese approach to luring and keeping consumers who are moving online fast.